Ellen Page Says The Last Of Us' Ellie "Ripped Off My Likeness"
There's no getting around it. 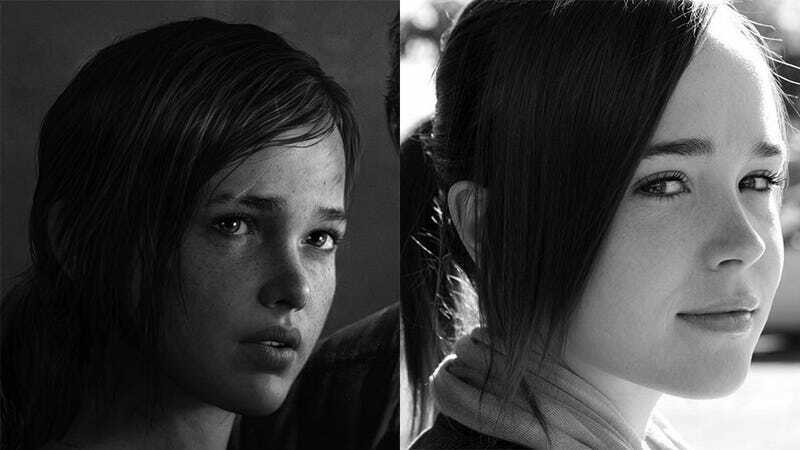 Even after a slight redesign, anyone who plays The Last Of Us will know that the character of Ellie has a lot in common with the actor Ellen Page, from her appearance to her voice. It's not actually her, of course. Page had no involvement in The Last Of Us whatsoever. The character of Ellie was played by Ashley Johnson. Given that she's not identical, you'd think the resemblance (and inspiration) would be cause for flattery, but weirdly, during an "Ask Me Anything" on Reddit, Page seems the opposite of flattered when the likeness is pointed out by a user. "I guess I should be flattered that they ripped off my likeness", she says, "but I am actually acting in a video game called Beyond Two Souls, so it was not appreciated." Page is the face and star of Quantic Dream's Beyond Two Souls, and yeah, it is a little weird there are two PS3 games coming in the same year that both star a girl who many will think is the same person. Not sure whether that's grounds to get so huffy about it though!